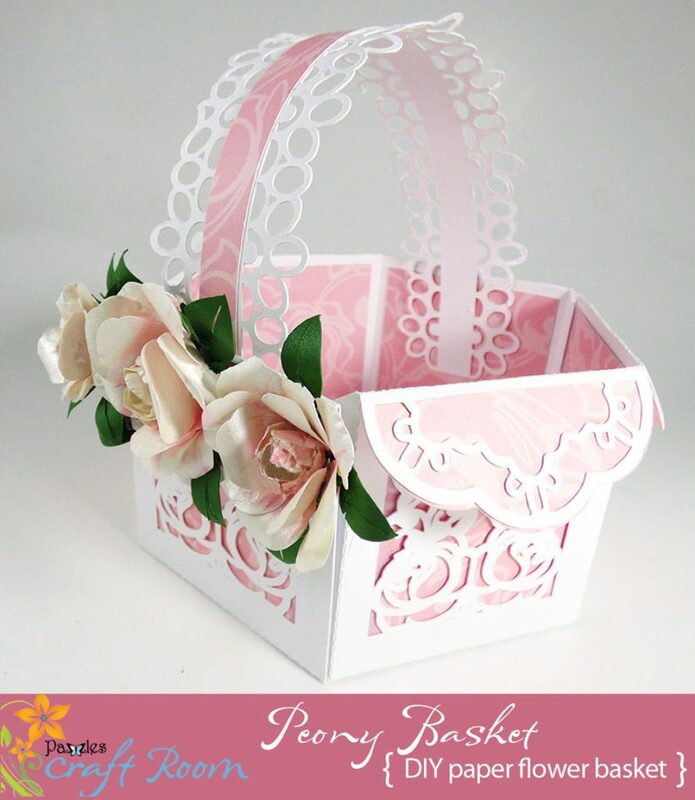 This lacy basket is adorned with six 3D peony paper flowers. 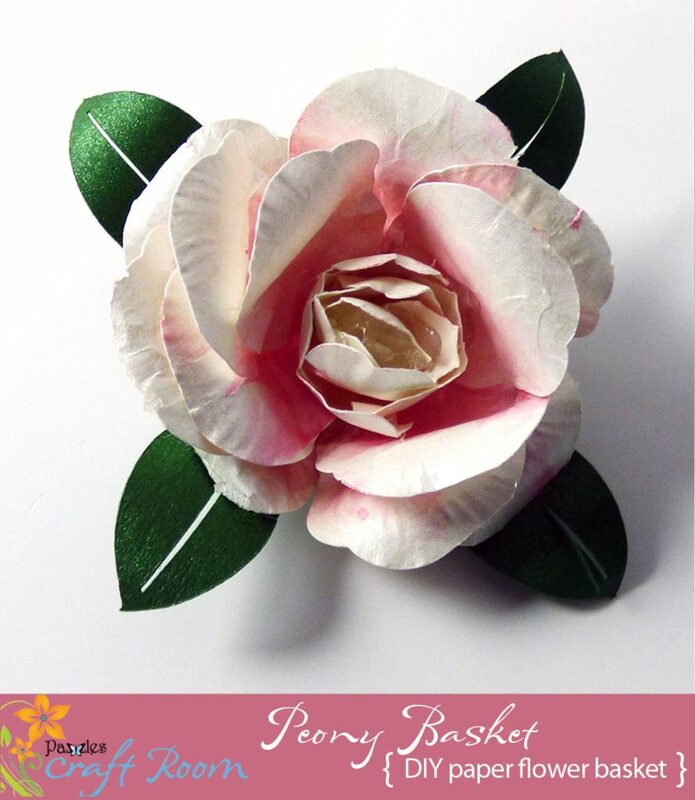 There are two small and one medium sized peonies on each side of the handle. 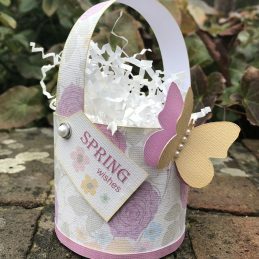 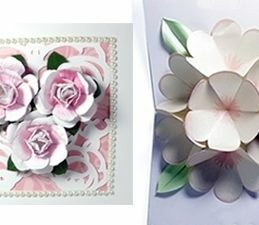 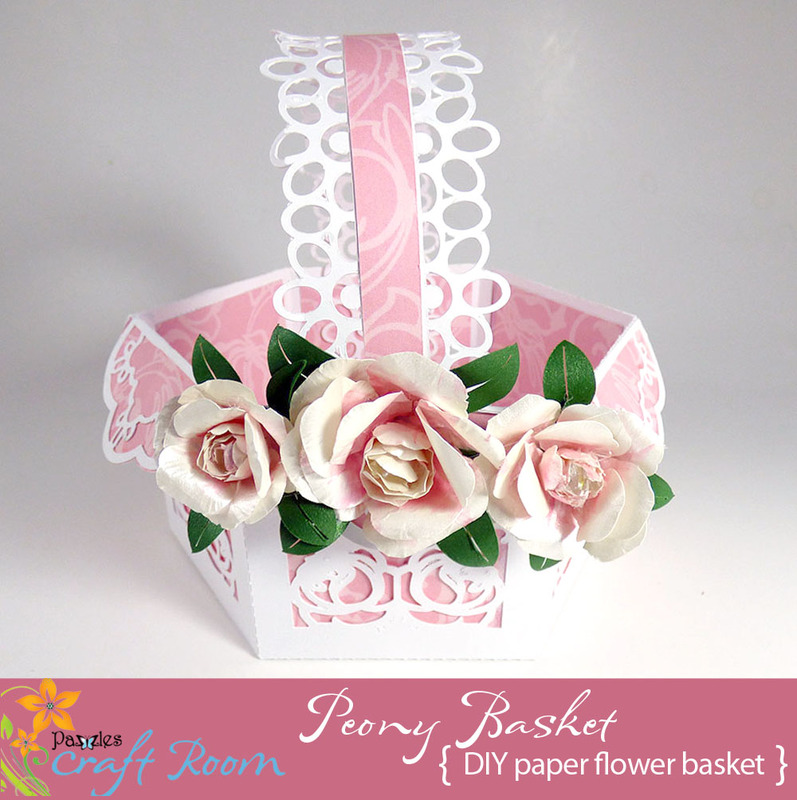 The basket is made from white cardstock, and it is lined with pieces cut from printed digital papers available in the Pazzles Craft Room. 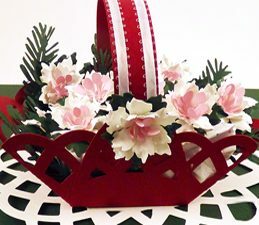 I plan to fill this basket with my mother’s favorite Sees candy, and give it to her for Mother’s Day. 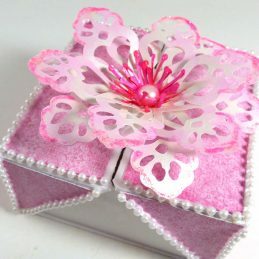 You can fill yours with special treats for someone special in your life for a special occasion such as a birthday, wedding, baby shower, anniversary, graduation, or Mother’s Day, etc.